What's All This "Leadership Week" Hullabaloo About? Before I found out the real scoop, "Leadership Week" brought to mind masses of NOLS employees wearing matching t-shirts and holding hands while singing Kumbaya around a campfire and generally extolling the wonderiferousness (yes, that's a word in my dictionary) of NOLS. Well, I wasn't too far off base when I found out the real scoop. 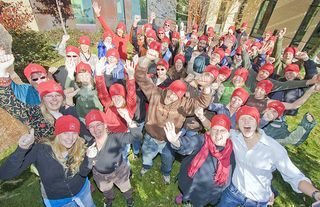 Leadership Week does involve masses of NOLS employees, alums, friends, and family wearing matching t-shirts and generally extolling the wonderiferousness of NOLS. It may or may not involve some hand-holding. And it will involve some singing, more along the lines of "Give me an N! Give me an O! Give me an L! Give me an S! What's that spell?" And it will definitely involve fire, although it will be cooking stove fire and not campfire. But stay with me here. Leadership Week involves more. It's a call to all the NOLS alums, friends, and family who are hiding in the weeds to come out of the woodwork (yes, I realize I am mixing metaphors) and tell everyone about their NOLS experience. It's also a call to action - tune into the web-site, and pick an item or two (or create your own) to do yourself. You might decide to review a book on Amazon.com. 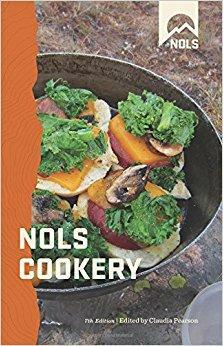 Or, if your friends don't know they can make cheesecake or calzones or cinnamon rolls in the wilderness, you might want to invite them to a Whisperlite FryBake to show them the wonders of NOLS cookery. Or, you might want to just have a good time and play outside! Galena Lodge. Details for both events are on the web-site. There are also several events scheduled to occur at NOLS HQ in Lander, including a Leadership Week Olympics that involves a cook-off and an animal call challenge (I am particularly versed in the "Mosquito call"). I will be attending as many as I can and will give you my thoughts on future blogs. Stay tuned!